Halloween’s coming up fast, so if you haven’t already gotten your Halloween candy, you might want to head out and pick some up now! 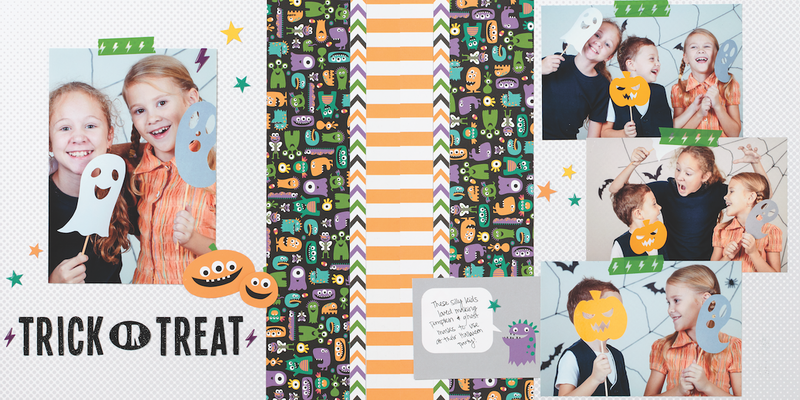 Whether you’re new to scrapbooking or just playing “catch-up,” we’ve got the perfect scrapbooking kit to help you create adorable Halloween layouts in a snap. It’s called the Workshops Your Way™ Jeepers Creepers scrapbooking kit, and it comes with all the supplies you need to create three traditional scrapbooking layouts. Once you receive your kit, you can download and print instructions for these layouts on our website. All the accents and titles you see are stickers and pieces you can easily attach with adhesive, so the layouts come together really quickly. 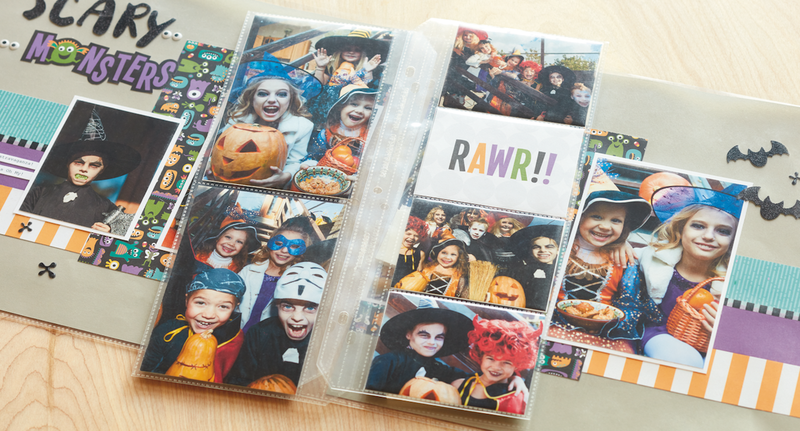 If you have leftover photos, you can purchase our brand new Pocket Plus™ Memory Protectors™ and slide your photos into them with some of your leftover pocket scrapbooking cards. For those of you who are familiar with our Flip Flaps™, our Pocket Plus™ protectors provide the same exact function except you don’t attach them to your main protector. You just insert them wherever you want! We’ve specifically designed one of the layouts in each of our Workshops Your Way scrapbooking kits to coordinate with our Pocket Plus™ protectors. 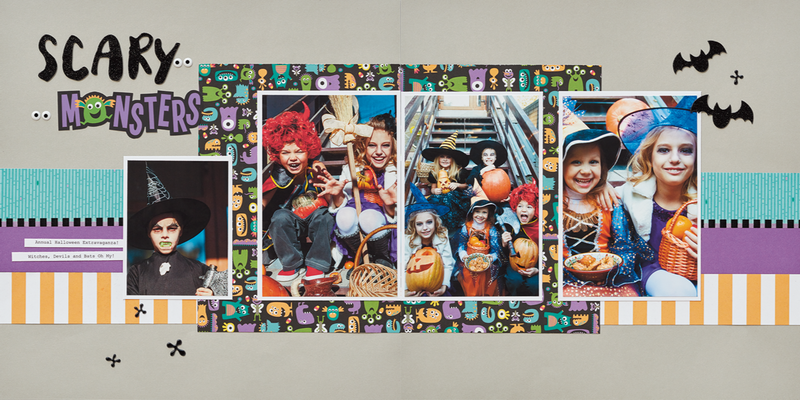 You can see above how they blend in seamlessly with the layout, creating a fun, interactive way to preserve your memories. And since you’ll still have a few pieces left over, we’ve also designed a collection of cards you can make from those leftovers and a few extra products you may already have. 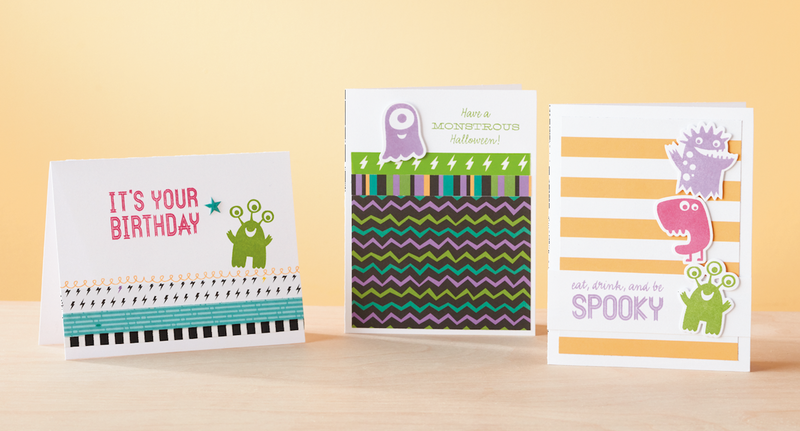 You certainly don’t have to make these cards when you buy the kit, but if you do, the instructions for these cards are included in the instructions for your scrapbooking layouts. It’s a great way to get the biggest bang for your buck!